Aulani, a Disney Resort & Spa is one of the premier Disney vacation destinations. It’s the only Disney resort in Hawaii. Not only is it an incredible resort, but it’s home to the Disney Aulani Character Breakfast. 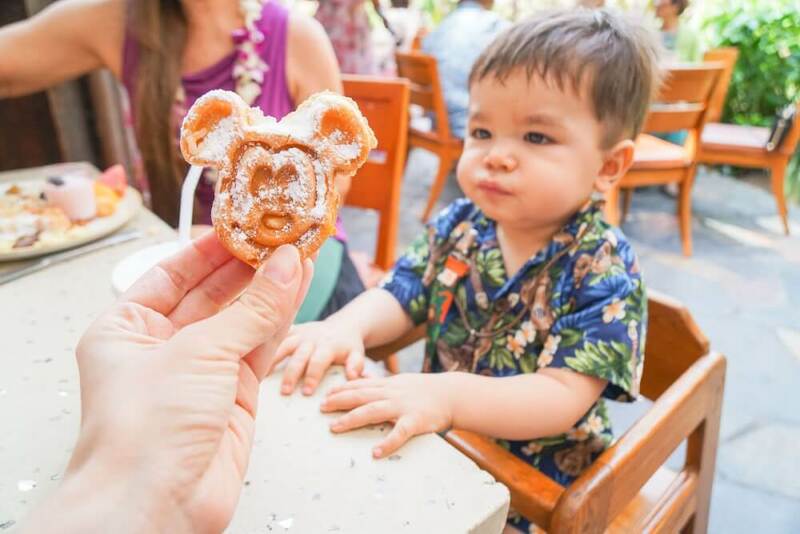 This Aulani breakfast buffet is casual, family-friendly and open to guests and non-guests of Aulani Resort in Ko Olina, Oahu. Find out how you can maximize 2 nights at Disney Aulani. 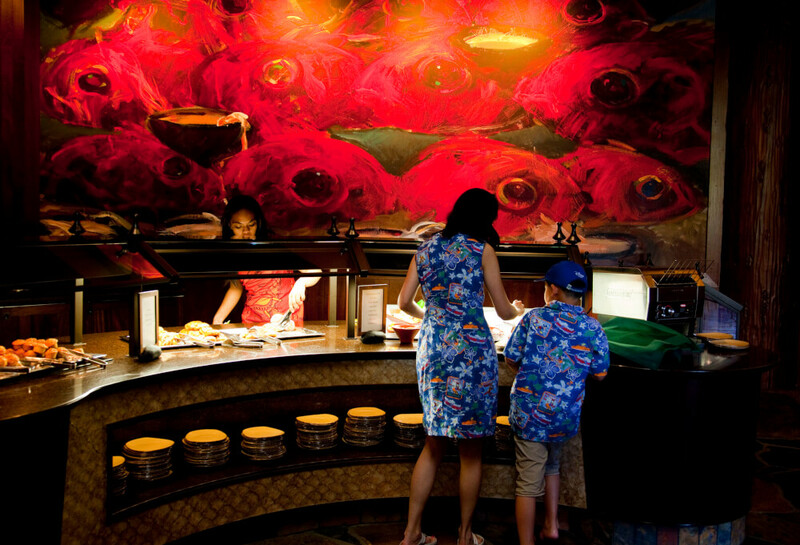 Aunty’s Breakfast Celebration at Makahiki is located on the first floor of the main building at Aulani, a Disney Resort & Spa. It has seating indoors and outdoors. The lanai overlooks a shimmering koi pond beside the Waikolohe Valley pool area. Makahiki gets its name from the traditional Hawaiian celebration of the harvest. If you look around this Aulani restaurant, you’ll see glass designs and murals that depict the Hawaiian Makahiki season. Plus, you’ll see lots of Disney touches! After you check in with the restaurant host, you will be given a card to bring to the photo area. This area is just outside the restaurant lanai. Give the card to the Aulani PhotoPass photographer. Once your photos are complete, you’ll give the card back to the host and you’ll be seated for breakfast. The photos will be added to your PhotoPass account, which you can purchase at the end of your stay. 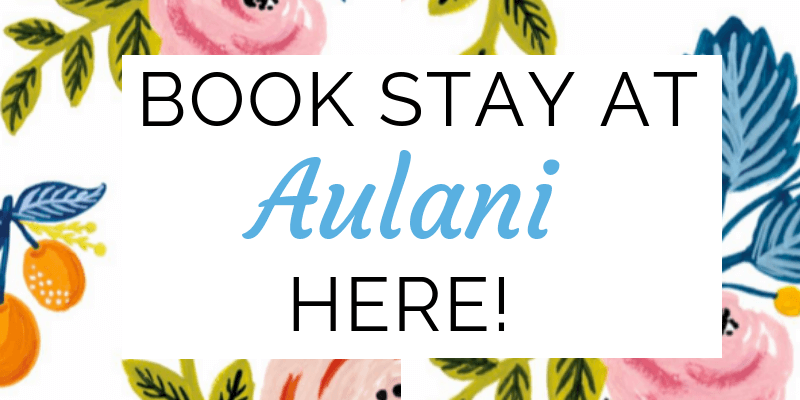 Find out my tips for making the most of your Aulani Resort PhotoPass. He immediately greeted my preschooler and walked him over to the photo area. I was so impressed with how friendly the Disney cast member and PhotoPass photographer were as they took photos with their camera, my phone and my Mom’s phone. And no matter how often we meet Mickey Mouse, it’s ALWAYS a special experience! Plus, he’s decked out in his Aloha shirt! My family and I couldn’t get over how EXTENSIVE this Aulani breakfast buffet is. I mean, they had scrambled eggs, hash browns, yogurt, fruit, biscuits and gravy, Eggs Benedict, custom omelets, grits, lots of pastries, muffins and the list goes on and on. Plus, they had Disney’s signature Mickey waffles! They also had an array of Asian food, which I thought was cool. My kids are always down for Chinese food, so they gobbled up the yummy fried rice. I also saw Chinese congee, which is a common breakfast item. Congee is a rice porridge that’s easy for babies and toddlers to eat. There is more food here than you’ll know what to do with. It’s the type of place where you can fill your bellies at breakfast and won’t be hungry until dinner. You can also order as much fruit juice as you’d like. If there’s one star of the Aulani Character Breakfast, it’s Aunty herself! When we arrived, she was leading the kids in a parade around the restaurant while singing. My 4 year old jumped right in the parade and off he went! He came back a few minutes later beaming from ear to ear. Later, kids were invited to grab coconuts and tap along to Aunty’s singing. Minnie Mouse also joined in on the fun as the kids learned how to hula dance. And there was another parade featuring fish puppets. Aunty also walked around the restaurant singing and playing her ukulele, serenading families. As a parent of little kids, I was so relieved to have such interactive entertainment during breakfast. That allowed me to actually eat my food and feed my 17 month old. Plus, it kept my 4 year old engaged and occupied. The entertainment seemed to reset about 90 minutes later. Ok, so you might be asking “who exactly are the characters at this Aulani character breakfast?” As with most Disney character meals, the characters seem to change from time to time. 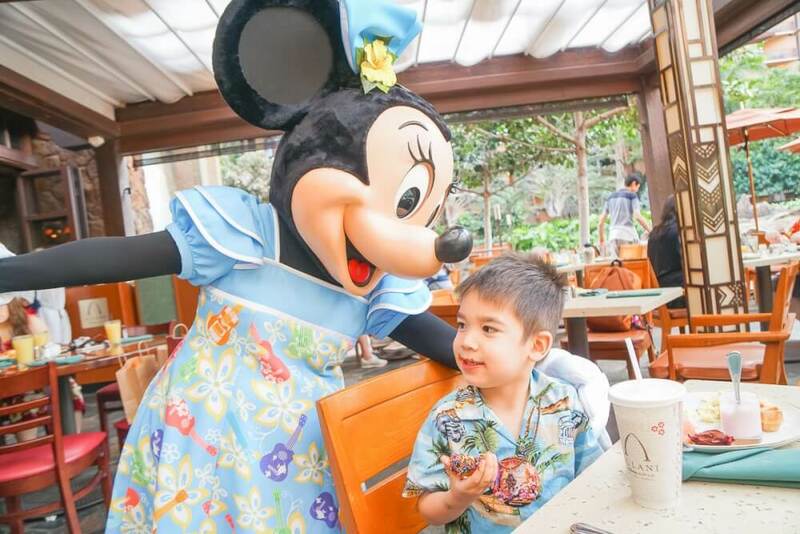 During our Aulani breakfast in February, we saw Minnie Mouse and Pluto. They came past our table a couple of times. Aulani Insider Tip: Ask to sit outdoors for better lighting for your photos. It wasn’t sold out when we were there in February, so the characters had a bit more time to play with our kids. And they posed for lots of photos and videos for us. We saw characters do individual photos with guests as well as big group shots. Sometimes there was a Disney cast member with them to take photos, but most of the time it was up to guests. I’m a very thematic person. When we are in Hawaii, I like to wear tropical prints and dress the boys in Aloha shirts. 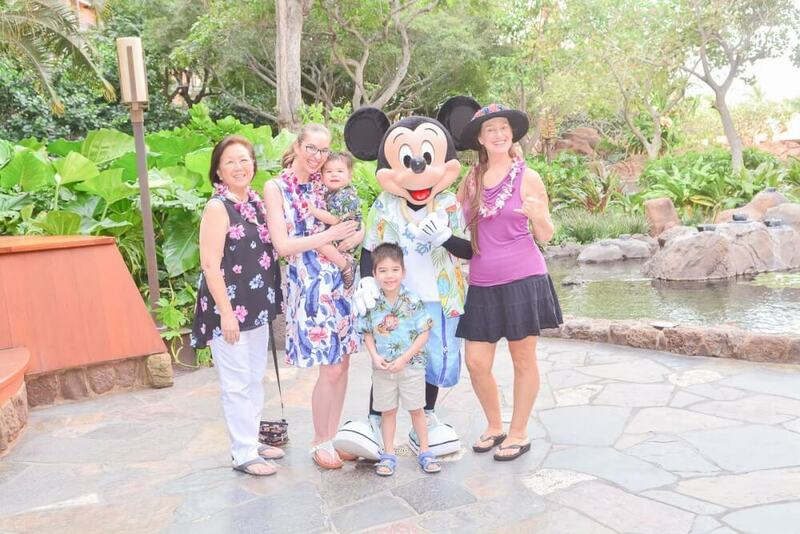 I especially wanted to dress up because I knew we’d be getting a photo with Mickey Mouse in his Aloha shirt. While it’s not a requirement, it makes it a bit more fun. Aulani Insider Tip: For a more festive look, wear your leis that you receive at check in. Like most Disney restaurants, there is a dress code. You must wear shoes and shirts at all times. If you wear a swimsuit, you also need to wear a cover-up. Kids under 14 years old can wear a costume, adults cannot. I looked around while we were there and most guests were wearing Aloha shirts, flowy dresses, collared shirts, and resort wear. The kids were mostly also in “nice” clothes. I also saw a few Minnie ears, which was festive! You can make your Aulani Character Breakfast reservation online. Or you can call (808) 674-6200. For parties of 10 guests, call (808) 674-6330. 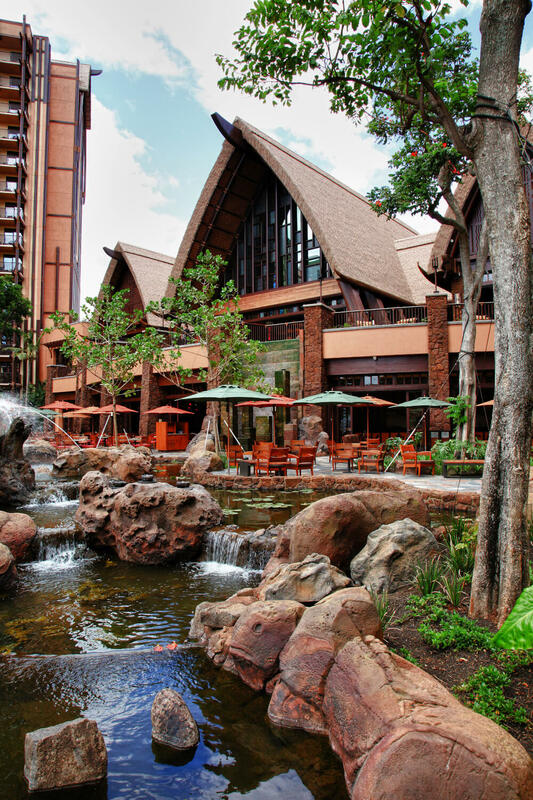 If you’re staying at Aulani, a Disney Resort & Spa, know there are several breakfast options. If you are looking for a fabulous breakfast on the beach, Ama’Ama is for you. It’s not cheap. A whole payaya is $11 and a breakfast sandwich is $23. But, if you want a memorable Hawaiian breakfast with a gorgeous view, it’s hard to beat. For a more economical option, Ulu Cafe has easy, grab and go breakfast options like eggs, fresh fruit, bagels, croissants and cereals. And if you just want a latte, Wailana Coffee Bar is the place to go. You can also walk across the street to Island Country Market to pick up groceries. Or, pick up fresh malasadas from Leonard’s Bakery before heading to Aulani. Usually when I plan a Hawaiian vacation with kids, I tend to over-schedule us. The kids spend a lot of time in our rental car and we zip all over the island. While that’s great for exploring, it’s not exactly relaxing. When we visit Aulani, a Disney Resort & Spa, I know our family will be able to slow down and just enjoy our time together. And so can your family! WHAT CHARACTERS ARE AT AULANI? 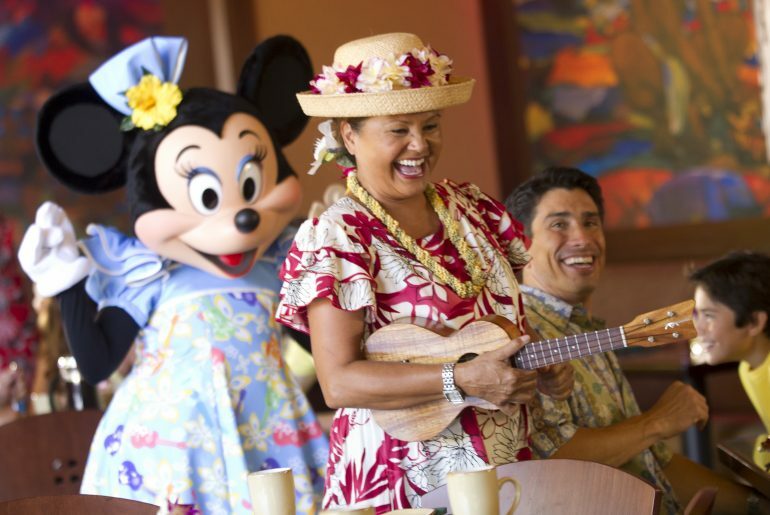 At the Aulani Makahiki Character Breakfast, you’ll usually see Mickey Mouse, Pluto, and Minnie Mouse. Around Aulani, a Disney Resort & Spa, you can find Goofy, Donald Duck, Daisy Duck, Stitch, Chip & Dale, Duffy, ShellieMae, and the ever-popular Moana! DOES AULANI HAVE A DINING PLAN? No, Aulani does not have a dining plan. It’s also not an all-inclusive resort, so you’ll need to pay for each of your meals there. CAN YOU GO TO AULANI FOR THE DAY? If you are not staying on-property, you will not be able to use the Aulani pools, join the activities, or take photos with characters. These activities require wristbands, which are given to guests. However, you can make reservations for their restaurants or use the beach in front of the resort. And you can simply walk around the resort! 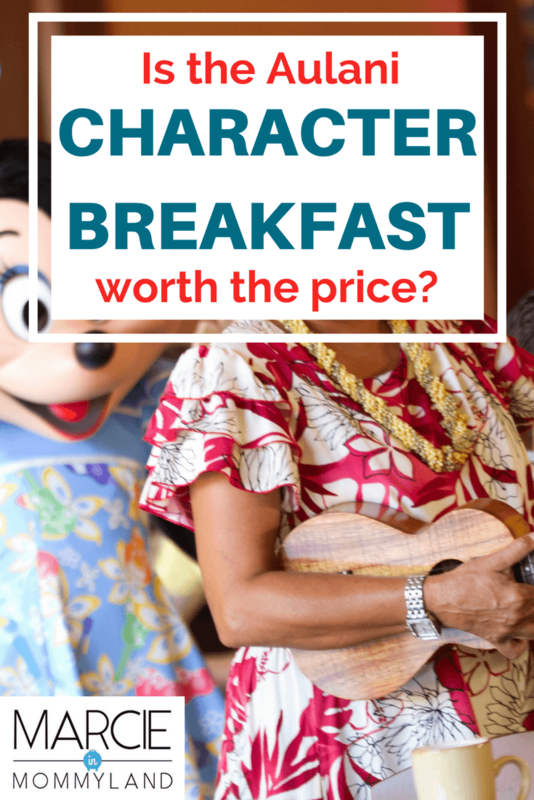 HOW MUCH DOES THE AULANI CHARACTER BREAKFAST COST? Ok, so how much does this Disney character breakfast cost? Adults (guests ages 10 and up) are $39, kids ages 3-9 are $20, and kids under 3 are free. This is as of March 2018. Like with all Disney character dining, character appearances, entertainment, menu items and pricing and subject to change. And if you’d like to purchase the Breakfast photo package, it’s an additional $35. Or, you can go to Kalepa’s store to get them added to your Aulani PhotoPass account. So, is the Aulani Character Breakfast Buffet Worth the Price? My answer is an emphatic YES. 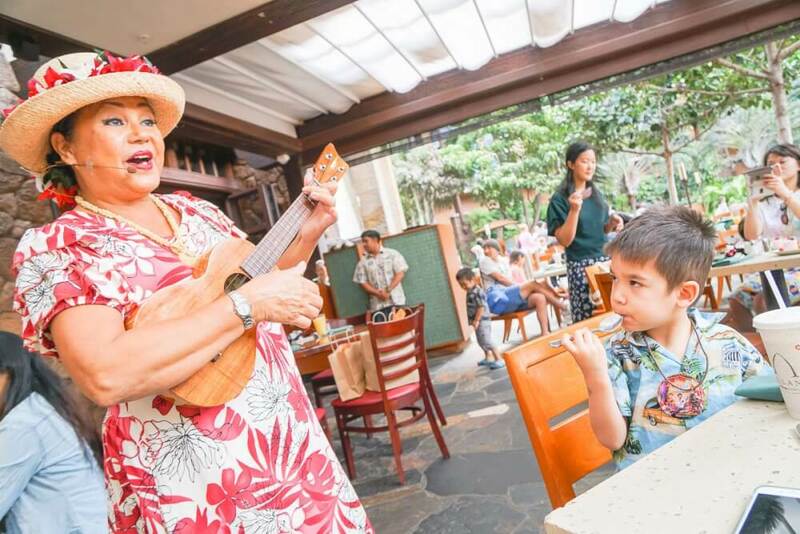 But the main reason the Aulani Character Breakfast is worth the price is for Aunty’s entertainment. 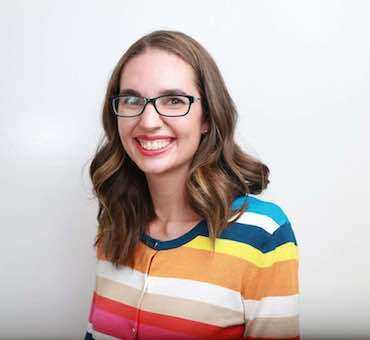 Your kids will be enamored with her the entire time. It’s the perfect way to kick off a family vacation at Aulani Resort. And, if you are staying elsewhere on Oahu, I’d still recommend making a reservation for Aunty’s Breakfast Celebration at Makahiki. You’ll feel like you are at Disneyland. There’s nothing that quite matches that Disney magic! You will enjoy complimentary parking (either self-parking or valet) for up to 4 hours when you spend $35 or more at Makahiki. Just remember to bring your parking ticket and purchase receipt with you. I’ve stayed at a hotel just down the road from this Disney resort! We walked past it and gawked at the amazing swimming pools and toys! Sounds like my family needs to take a vacation to Hawaii soon! Such a great read, thanks!! Yes, do it! You can also do the breakfast if you aren’t staying at Aulani. To be honest, it is not worth it. Their service is horrible and food is overpriced. The characters don’t come to your table at least when we there for 2 hours. There are a ton of places on Oahu way better than Makahiki. Don’t waste your money and time. Oh, I’m so sorry you didn’t have a good experience! I’m sure that was such a letdown. Did you contact Disney to let them know? Customer service is pretty important to them. When we were there, all the characters came to our table multiple times and we didn’t feel rushed with them. And we loved all the buffet options, especially those adorable Mickey waffles! This looks so amazing! I am a huge Disney fan! And Hawaii too of course. This is a great way to enjoy both. I will have to add it to the family Bucket List! Yes, add Aulani to your bucket list! It’s one of my favorite Disney properties so far! It sounds like a very nice event, but for me it also sounds pretty expensive. It’s definitely not inexpensive, but we definitely got our money’s worth. If you’re staying at Aulani, I feel like you HAVE to do that breakfast! It looks like so much fun for the kids, plus the food all looks delicious! Right? Tons of food and so much entertainment! That sounds like a very reasonable price for such a beautiful venue and to hang out with characters! Yes, I was surprised how much time they spent with us! Yes, I definitely agree! 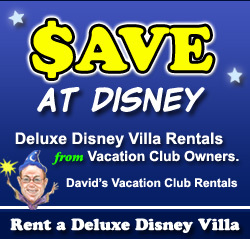 It already costs a lot for any Disney trip, so spend a bit more for maximum experiences! The breakfast sounds super worth the money. Your boy having that much fun is literally priceless. So many photos, good food and tons of memories to take away. Makes me want to have kids just so I can have these kind of experiences haha! How beautiful! Can you believe that I’m 25 and I have never been to Disney?! Seeing this situation, makes me think it is time to pull a little family member and take a ride! The 35.00 price tag was shockingly affordable and the brown buildings are beautiful. Yes, Disney Aulani is a gorgeous resort in Hawaii. They don’t have rides, but they have lots of Disney touches! Sounds awesome for the whole family. I love a great buffet but all the Disney stuff sounds like its done and paced in a way to make the event awesome. Yes, the pacing is perfect for families! I had no idea this existed in Hawaii. It is a nice place for kids and even adults to diversify what people normal do while visiting there. It is also very lush and green. Yes! It’s a Disney vacation and Hawaiian vacation mashed together! Except for spending a day in Disneyland, I have not done any of this anywhere. Frankly, I didn’t even know this existed in Hawaii. Going by your candid description and happy pictures, anyone can say how much fun you had there. It is so cool that you got to have an extensive Aulani breakfast buffet. I have never been to any Disney resort. But I can imagine it would be so much fun for the Disney fans. Kids love Mickey mouse. I am sure kids can wait for Mickey to finish his omlette for the photo ops, haha. The breakfast buffet looks great. Is there anything for the vegans and vegetarians? I would want to visit here with my nephew and niece. First of all, these pictures are so cute! It sounds like such an amazing experience for the kids. I’ve never been to any Disney resort, so this sounds like the perfect adventure for me and my family! Thanks for your advice! It’s such a fun way to spend a morning in Hawaii! I can’t believe they won’t let adults wear costumes, we should be able to join in on the fun too! I did the character brunch at Disney Land in California and it was fun! I can imagine how much fun it would be if you were a kid! I honestly don’t remember how much it was back then, but I think for the entertainment and the food you get it is worth the price. I hope you all had a blast! It’s so special to eat brunch outside at such a gorgeous resort in Hawaii! OMG it would make such a fun girls brunch spot! Boy, you covered it all, Marcie! Definitely seems to be worth the money! I know it’s pretty detailed, but thought people might want to know exactly what to expect! 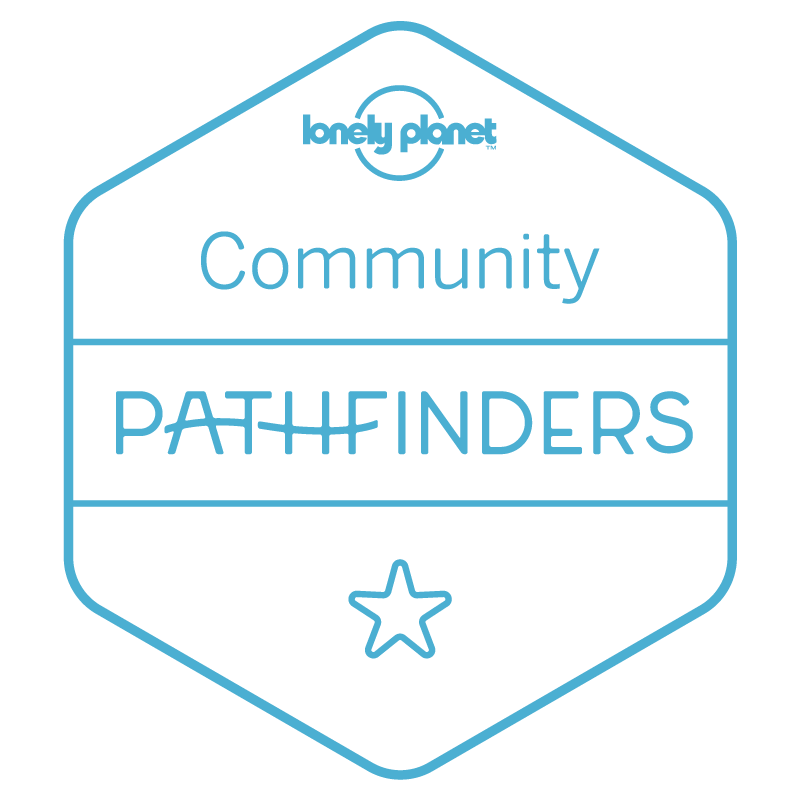 This looks like such a great experience! Character breakfast can be so much fun and this one looks completely worth it! They are fun for the whole family! These photos are just stunning! I have not been to Oahu, but I have been to Maui and the big island! Hawaii is just stunning! Hawaii is so fun! Oahu is very different from Maui and the Big Island. I highly recommend! This resort looks like a beautiful place, and I am drooling over the yummy food at the buffet! If I ever visit, Oahu, I am definitely visiting this Disney resort. We love Hawaii, but Aulani just made it ever more magical! This sounds like it would be such a blast for the money. I really love character breakfasts. Aren’t they so much fun? I’m not personally a fan of licensed and branded merchandise /events but if your kid likes it and you can afford it, go for it! My husband couldn’t join us this trip, so it was his treat! We had a blast! It looks like you guys had a blast in such a beautiful place! Thank you for the tips! It was so beautiful and the staff were so friendly and welcoming! Oh my, what a fun thing to do. I am excited to take my kids and husband to Disney. It has been a long time since I visited Disney. This is such a great idea. Beautiful pictures by the way. Thank you for sharing. This sounds and looks like it was worth it! beautiful place and smiles on everyone’s face LOVE IT! It was! We can’t wait to go back! This looks great! My husband and I are taking our 4 year old to Aulani in June. It will be our first trip to the area ever. We have been trying to decide if we want to do a Character Breakfast or a mischief dinner. Did you happen to experience the other themed event? I will admit, until I read your write up, I was leaning towards not doing it, but now I am sure we will do one of them. The Mischief Dinner has different characters than the breakfast. So, if you do both, you will probably see all the characters. I’ve had friends recommend we do both, but we ultimately decided on breakfast because it seemed like there was more entertainment. But, we didn’t experience dinner firsthand, so I don’t know for sure. Have a wonderful trip! The level of customer service really puts them head and shoulders above other resorts. Sounds like a great trip! I will keep this in mind when planning our family vacations. Especially, since my kids love all things Disney. This sounds like such a fun trip! I hope you had a wonderful time. It was our most relaxing vacation so far! This looks amazing! I can’t wait to go in a few years! Oh, you are going to have the best time! It was such a hit for our family! We can’t wait to go back! This looks amazing! My daughter would absolutely love this, I always wondered if it lived up to the hype. Definitely adding this to our travel bucket list! Yes, it’s definitely worth a stop, especially with kids! The breakfast celebration buffet looks like so much fun! 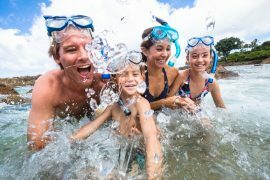 I know it’s a premium price, but Hawaii’s Disney Resort seems like a trip that my family would love taking! Yes, it’s an investment, but it was the highlight of our trip! We just took our son last year. Wish I had know these existed!! How fun! Yay! I hope you had an amazing trip! Looks like a great place to take kids. We’ve been talking about it as an option for when our kids get older! How exciting! It’s a pricey but when you’re in Hawaii AND Disney, then it’s well worth it! The views are gorgeous and the smile on your little one is indeed priceless! ? Exactly! Might as well splurge! I would love to have Disney themed breakfast buffet with so many varieties. 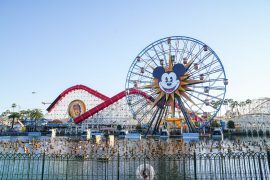 I am a Disney fan since childhood, and so this place looks fun for me. Having photo with Mickey before getting seated for breakfast is great. I loved the Mickey shaped waffles and it is very good that they have Asian style of breakfast. I would love to opt for Asian breakfast. They have a huge assortment of Asian items in the buffet! I have never stayed in any of the Disney hotels yet… I like the way the restaurant have created the atmosphere.. I so wanna go and get that Mickey waffle right now. ☺? This is the Disney resort in Hawaii and it’s fabulous! 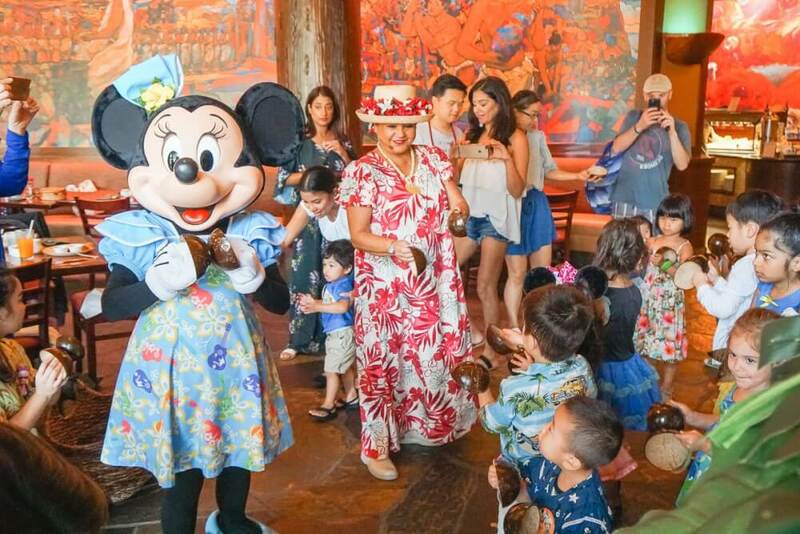 I love the combination of Disney theme with Hawaii clothes – you all look amazing! 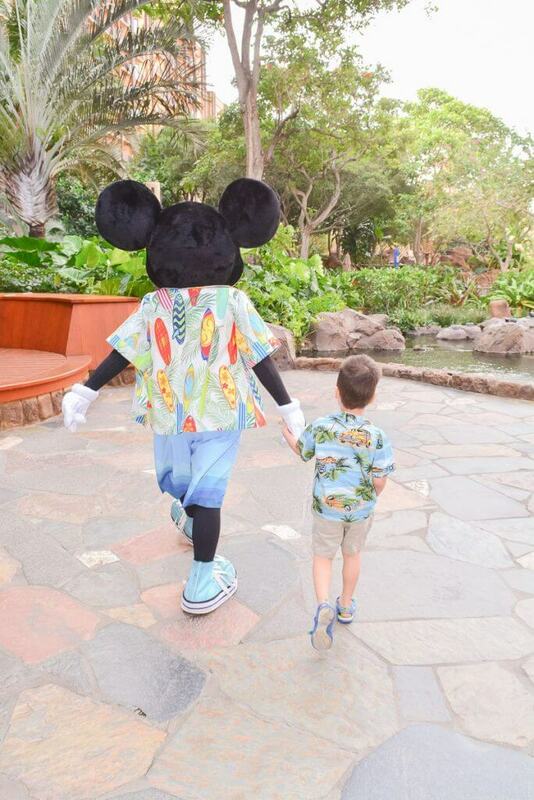 So cool to see Mickey Mouse escorting your kid for a photograph, he must’ve been thrilled! 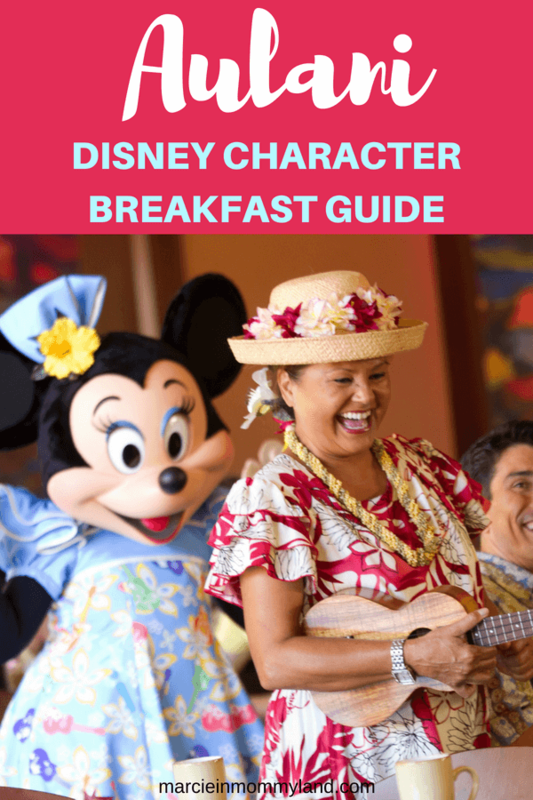 I had no idea Oahu had a character breakfast and I am sure it would’ve been one amazing experience, especially for the children! Oh thank you so much! Yes, a lot of people don’t realize there’s a Disney resort in Hawaii!